At Moneywise we believe everyone should cut their costs and save money in order to invest it. By investing for the long-term, families stand a greater chance of generating a decent return and being able to fulfil their financial goals. 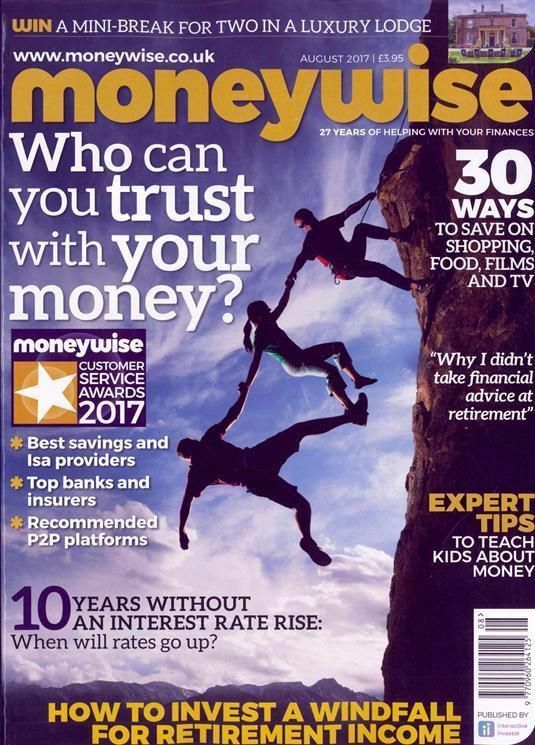 In Moneywise magazine youll find a wealth of tips on how to clear your debts, make household savings, economise and budget effectively to help your family prosper, whatever stage of life youre at. * Well provide you with impartial advice on pensions, Isa tips and more, without the financial jargon. Plus there are regular competitions with top prizes to be won every month!